Going camping? Bring a paddle board! Includes all gear need for a safe and fun paddle. Starting at $60/day. 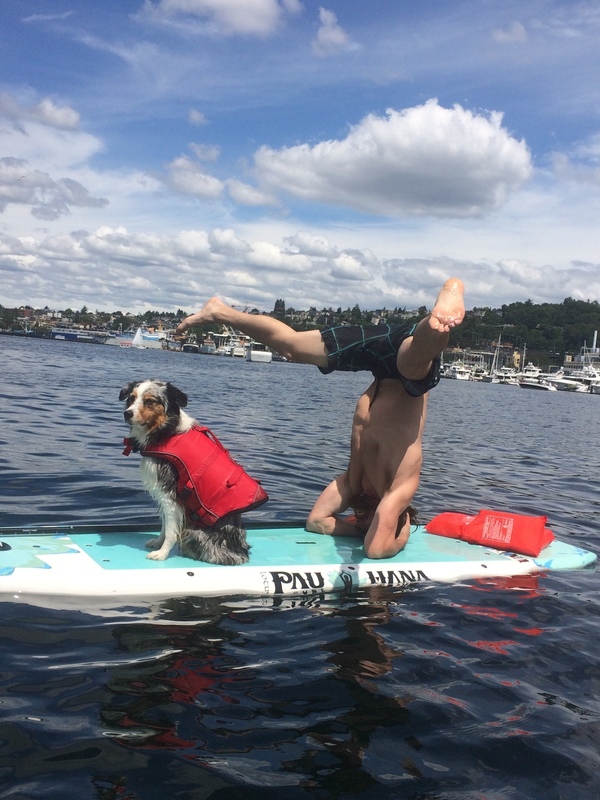 With gorgeous views of the Space Needle, and numerous sights to take in like the famous Houseboat from Sleepless in Seattle and Gas Works Park, Lake Union is the perfect place to paddle board in the summer time. This urban SUP spot in the heart of the Emerald City promises for a great time. Includes stand-up paddle board, SUP paddle, PFD, leash, and optional accessories like anchors, cup holders, paddle clips, GoPro holder, and fishing pole holder. With our fleet of Pau Hana Lotus SUPs, we offer an unparalleled experience on the water with these smooth riding boards and awesome accessories to make your time on the water a memorable one. The square nose and tail offer amazing stability even in the choppiest of conditions. Coming in at a whopping 34 inches wide, this board is perfect to for cruising Lake Union at ease. Love to fish? Use our fishing pole holder when you rent a paddle board and take your SUP experience to a whole new level! Why leave your dog at home when they can come on the water with you? Well-behaved pooches always welcomed to get their paws wet! 15-17yrs must be accompanied by an adult. Kids under 14 ride FREE with an adult. *Parent must provide life jacket for their child to wear at all times on the board. Drop-off your paddle board at a different location for just $10 and get more time to explore without having to paddle all the way back where you started.